Description Pewter Hammered Link Chain with sterling silver rings and clasp. 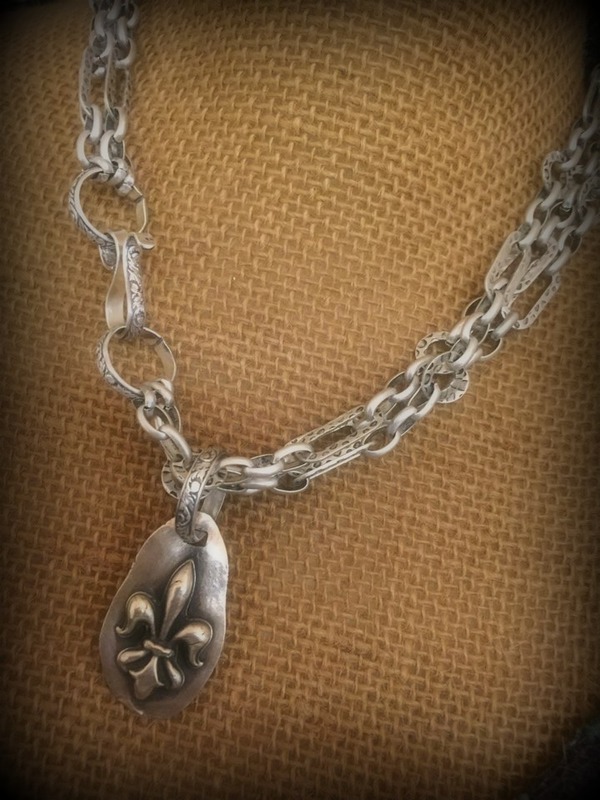 Add charm of your choice, fleur de lis charm and monogram pendant shown in pictures (sold separately). Can also choose Lamb of God or Name Charm.